A dangerous virus, one that prevents the infected from controlling their inhibitions, is discovered in a corporate law building, the very same firm that recently cleared an infected man on murder charges. When a quarantine is issued and the building goes on lockdown, all hell breaks loose inside, while a disgruntled employee (Steven Yeun) and an irate client (Samara Weaving) must fight and even kill their way to the top to ‘have a word’ with the corrupt executives who wronged them before time runs out. 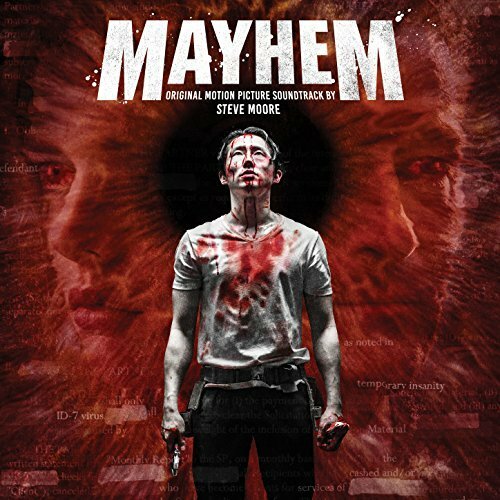 The movie soundtrack of Mayhem will be released on November 14, 2017 by Relapse Records.